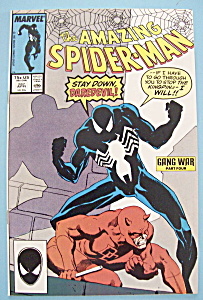 This April 1987 issue of a Vintage Spider-Man Comics "Gang War (Part 4)" is Vol.1-No.287 and has a 75 cent cover price. It is in near mint condition with creme colored pages. This is a nice copy of this hard to find comic.